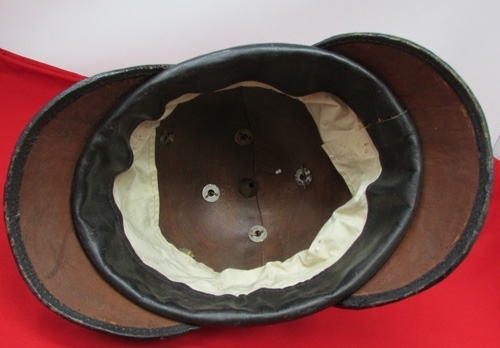 Item #46707 : Polish reproduction helmet. 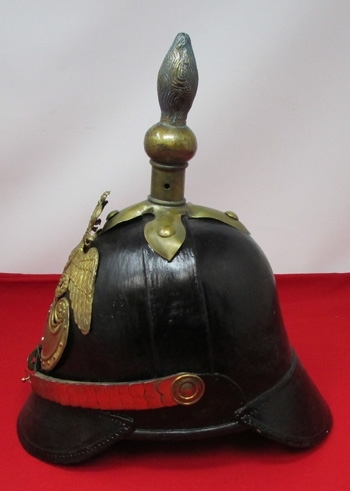 A decent replica of a pattern of helmet that I would love to own an original example of.Tall, painted leather body, with a simple sweatband and white cotton adjustable lining. 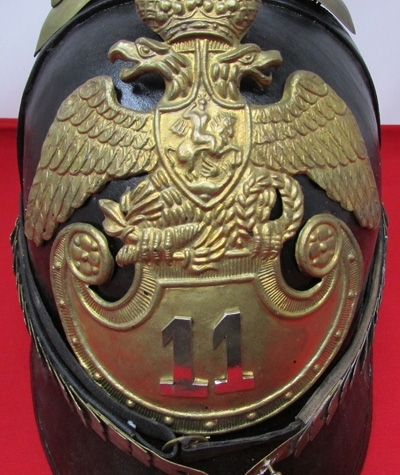 All brass fittings except for the chromed metal numbers on the plate. The chinstrap is complete but a little short for the helmet but stays in place quite well.Large size, about a European size 60, or US 7 1/2, at least it fits my pumpkin-head. Priced at slightly more than I paid for it, just to cover the CC charges. The closest one I've come to in 40 years of looking.